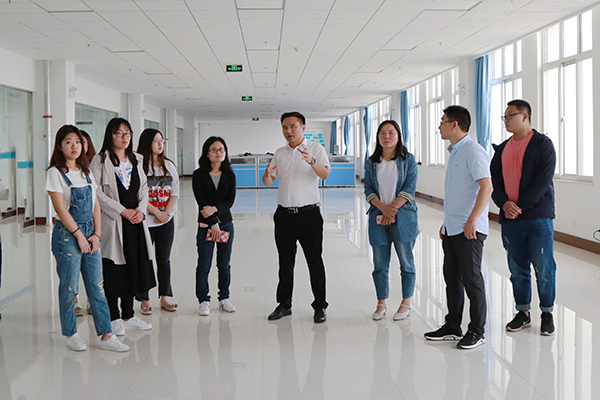 In order to help Yantai company's new colleagues better learn e-commerce knowledge and stimulate everyone's work enthusiasm, on the afternoon of 14th May, new colleague of Sinotrans Intelligent Machinery (Yantai) Co., Ltd. came to visit China Transport E-commerce Industrial Park. Feng Zhenying, Party Committee Secretary and Deputy General Manager of China Transport , Deputy General Manager of the Group, Li Zhenbo, General Manager of the E-commerce Company, Guan Chenghui, Deputy Secretary of the Party Committee of the Group, Director Zhu Kun of the Office, Director of the Human Resources Department, Zhai Hongru and other leaders held a meeting with colleagues of Yantai New Company. 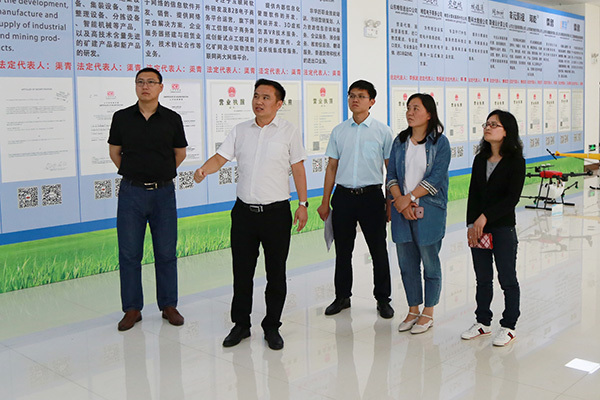 In order to better understand the development of China Transport , President Li led everyone to visit the China Coal Culture Exhibition Hall, smart equipment exhibition hall, e-commerce company, cross-border e-commerce company, network information company, and software technology company.During the visit, President Li introduced the outstanding achievements of China Transport in e-commerce and cross-border e-commerce to Yantai's new colleagues. China Transport has established an e-commerce sales team since 2008, and has developed into an e-commerce sales team of more than 600 professional companies at present. Over 10,000 kinds of products produced and sold by China Transport have completely covered 34 provinces and cities across the country, exported 151 countries and regions worldwide, and reached 480,000 customers around the world. China Transport has become an industry model for the successful transformation of traditional enterprises through e-commerce information industry throughout the country. In the cross-border e-commerce company, Mr. Li introduced the development of cross-border e-commerce of China Transport in detail. China Coal started to develop cross-border e-commerce in 2011, and set up a cross-border e-commerce team covering English, French, German, Portuguese, Russian, Arabic and other languages. It has registered “China Coal” trademark in 37 countries and regions around the world. 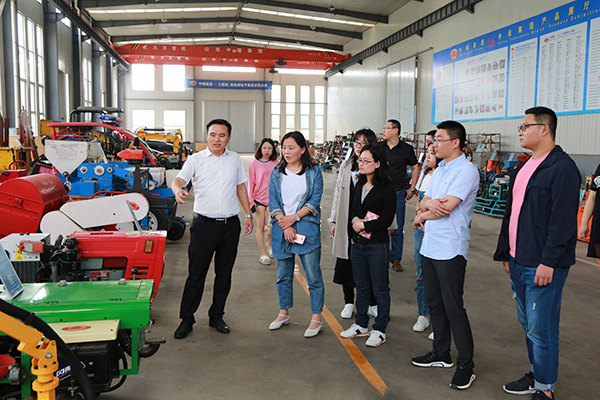 Through the Group’s machinery industry cross-border e-commerce platform independent developed and operated by the Group, 1kuang.com exports large-scale equipment for production and sales to 151 countries and regions in the United States, Australia, and Russia. China Transport has 480,000 customers worldwide and has made outstanding contributions to the development of cross-border e-commerce across the country! After the visit, the group held a welcom meeting with Yantai company's new colleagues. 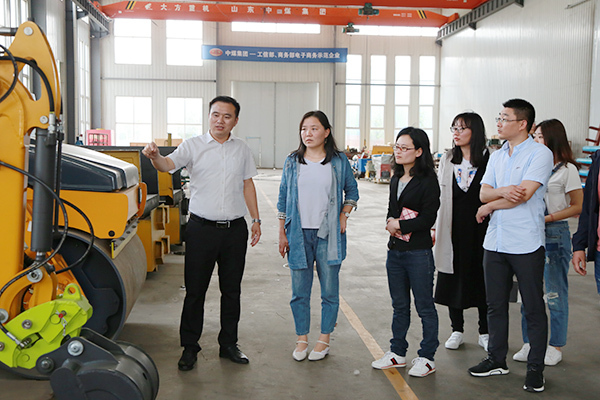 At the metting, Feng Zhenying, Party Secretary of the Group, expressed a warm welcome on behalf of the Group to the arrival of Yantai company's new colleagues. He hoped that everyone would make good use of the ten days to apply their knowledge and experience, and communicate with the e-commerce elites of the Group. 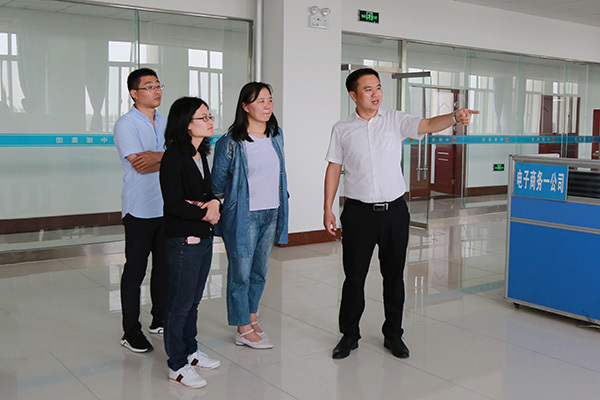 He also hoped that everyone wold become familiar with the specific business process of e-commerce work as soon as possible, and make full preparations for the better entry of China Transportation Intelligent Machinery( Yantai) Co.Ltd. in the future. Finally, Zhang Wen, general manager of the company’s cross-border e-commerce company, introduced the learning plan in detail to everyone. It is reported that Yantai's new colleagues will receive a ten-day training in the practical operation of e-commerce at China Transport . During the prtiod, there will be a professional e-commerce team business elite teach everybody. Let every new colleague enhance their pracitical ability and better adapt and custom the e-commerce business environment and corporate culture.